That phrase isn’t just for businesses. When choosing where to advance your education, you also need to consider the institution's, well, location. The team at Neumann University put together a few reasons why Pennsylvania is the perfect place for you to pursue a graduate education. The career opportunities are plentiful in Pennsylvania. With 1.6 million people in Philadelphia and 300,000 in Pittsburgh, there's a wealth of employment opportunities! Huge companies like Aramark, Comcast, Rite Aid, and many more all have their headquarters right here in Pennsylvania. Not only are there a lot of job openings in Pennsylvania, but Neumann University itself is a great resource to connect with future employers. 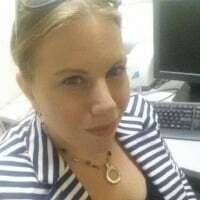 You can use the connections you make in graduate school to help further your career! Pennsylvania is soaked in American history. You can visit the Liberty Bell or Independence Hall in Philadelphia to get your colonial history fix. See in-person where the U.S. Constitution and the Declaration of Independence were signed! Pennsylvania is also home to a variety of informative museums. From the Philadelphia Museum of Art to the Erie Maritime Museum, there are museums across the state that cater to plenty of interests. By the way, set in Aston, Pennsylvania, in the heart of Delaware County, Neumann's scenic campus offers an intimate, small-town atmosphere with easy access to the cultural hub of Philadelphia, which is less than 30 minutes away by car. 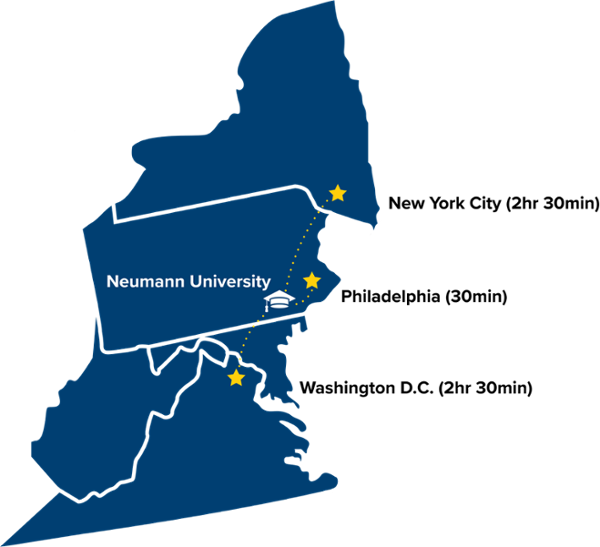 Neumann University is also a short distance from Washington D.C. and New York City, as both are about 2 hours and 30 minutes away. Sports are a great way to bring people together. Connect with your friends and maybe even make new ones by going to some of the many of Pennsylvania sporting events! Whether you’re closer to Philly or Pittsburgh, interested in Baseball or Hockey, PA has you covered. Both Pennsylvania cities have major league Football, Baseball, Basketball, and Hockey teams! Catch an Eagles game at the Lincoln Financial Field when you’re in Philly or maybe a Pirates game when you’re in Pittsburgh. Either city, whatever sport, Pennsylvania has a lot of great options. With 111 state parks, 20 state forests, and three national historic parks, Pennsylvania has no shortage of beautiful scenery to take your mind off the rush of everyday life. If you’re worried about Aston’s size, you and your friends are actually never too far away from a major city! Newmann University’s location is pretty close to a bunch of popular cities for a fun day trip with your friends or for potential career opportunities in the future. 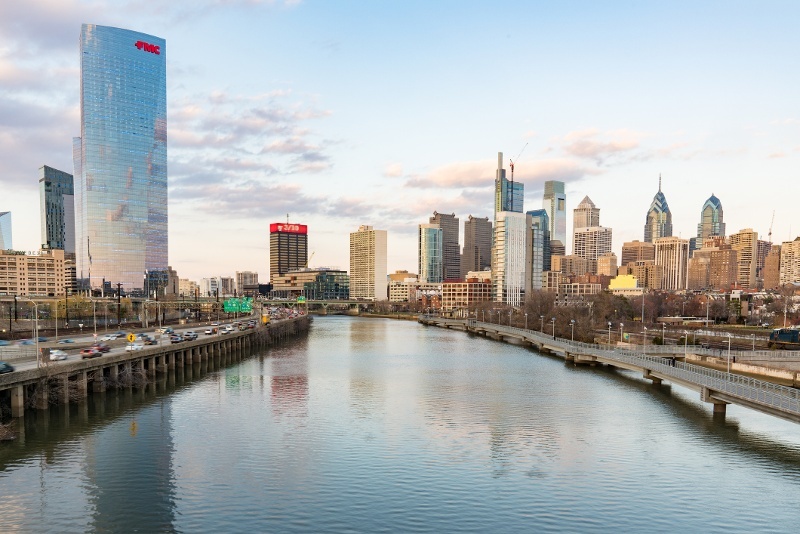 The City of Brotherly Love, Philadelphia, is only about 20 miles away from campus or if you’re looking for other big cities, New York City and Washington D.C. are each about 2 hours away. at nu, we are dedicated to helping you succeed. There are all kinds of reasons to choose graduate school, and it's up to you to decide if graduate school or a degree completion program is the right decision for you. But if you're not sure what next steps you want to take, we encourage you to reach out to Neumann University and request more information about the kinds of programs we offer our dynamic and passionate students. We hope to hear from you soon! Explore our digital resource, Unpacking Why You Should Consider a Specialized Business Degree!